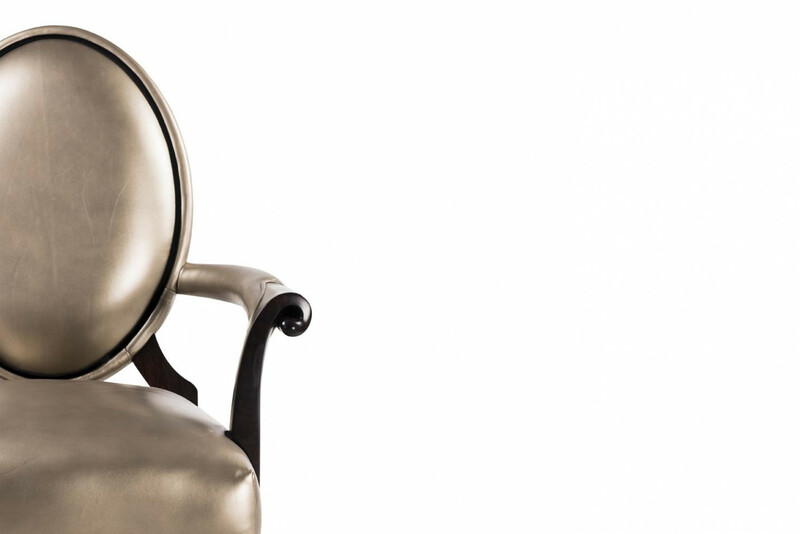 Metallic leather finish, Signora with round back, gilded and naturalistic carvings adhere to your surroundings. 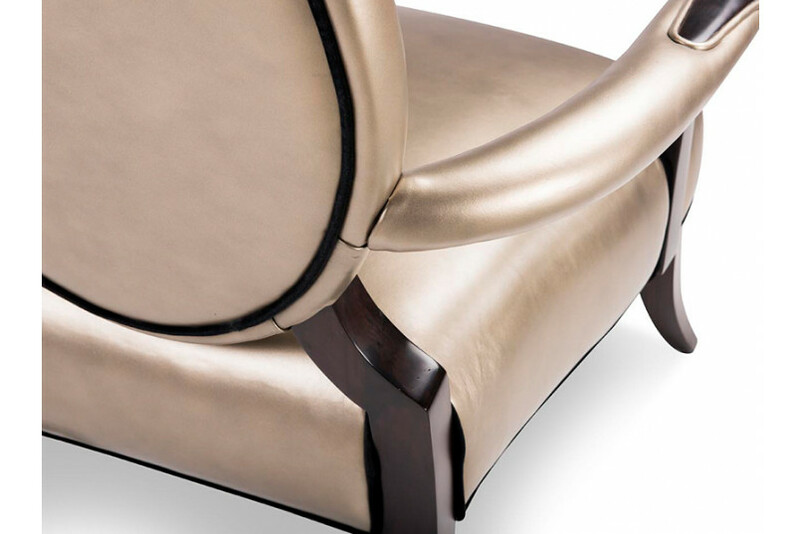 Discover its magic moment when classic style meets modern elegance, maintaining subtle and bold refinement. 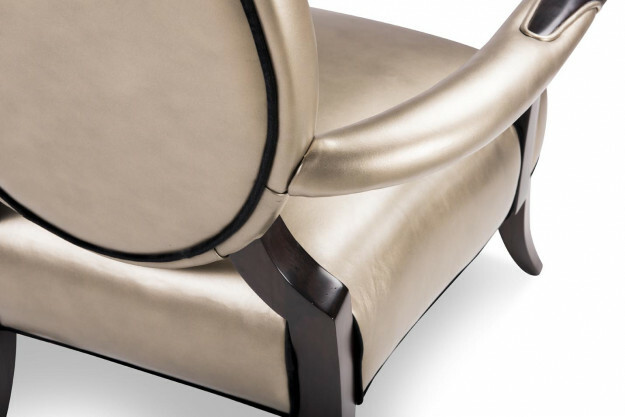 High-end neo classical Leather upholstered Signora Arm Chair is quiet but inspire your room décor. Raised on tapered and edgy legs, Signora sets itself apart from others.